There was a time - and not so long ago - that the wine world was absolutely dominated by men. Despite its genteel appearance, it didn’t take much scratching beneath the surface to uncover an industry which was pretty much solidly fuelled by testosterone, and led by serious-faced, burly-armed and heavily moustached men. Sure, there have always been women behind the scenes, and a few female pioneers making superb wines out there… but women were generally massively under-represented. Thankfully, times are most certainly changing. What was once very much a man’s world has begun to be transformed by a greater female presence, and we should be proud of the fact that Australia is very much leading the field in this respect. This month, we’ve decided to pick out and celebrate a small bunch of women who we feel deserve massive respect, due to their significant and far-reaching influence in the wine industry. These are women who are inspiring others to follow in their grape juice-stained footprints, and who are making lasting inroads into a scene which seriously needs their presence, input, and genius. There might still be some way to go when it comes to equality, accessibility, and female representation in the wine industry… but it says a lot that it was incredibly difficult to pick out this short list of influential and inspiring women, as there were dozens upon dozens to choose from. If you’re a fan of top-quality Italian wine (and let’s face it, who isn’t? ), then the name Antinori is probably already quite familiar to you. Albiera Antinori is the current president of her family’s 650 year old winery, and is - astonishingly - the first woman to ever hold that role. As the 26th generation head of this ancient and deeply revered wine company, she’s more than aware of the fact that the eyes of her country - and the wider world - are going to be fixed on her and every decision she makes… and yet instead of shying from the spotlight and continuing with business as usual, Albieri has taken it upon herself to be the one to rocket the Antinori brand well and truly into the 21st century. Along with her two sisters (that’s right, the 26th generation of Antinori winemakers are all women), she’s brought state-of-the-art winemaking techniques into her family operation, and has achieved great things by opening up market inroads to Asia, the US, and Australia, too. With 1,800 hectares of prime Italian vineyards, as well as winemaking projects in California, Washington state, Hungary, Romania, and Chile, she’s bringing her family’s centuries of expertise to the wider world, and showing vintners on three continents how to do things the Italian way… with patience, respect for the fruit and the soil, and with excellence as the only standard. What a woman. Of all the wine making countries of Europe, it’s probably fair to say that Spain is the one which was most obviously crying out for more women in top jobs. 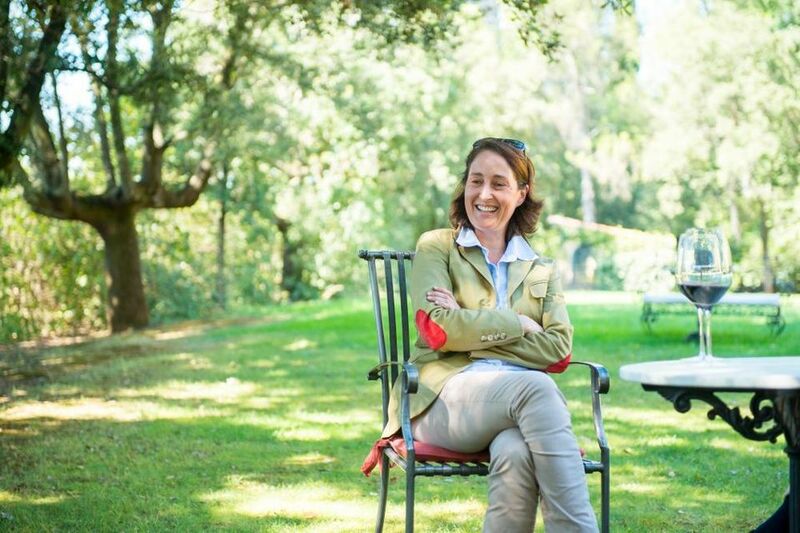 Enter Maria Vargas, chief winemaker at the prestigious Marques de Murrieta winery in Rioja - a woman who is not only at the helm of one of the country’s most famous wineries, but who is also recognised as one of the most talented producers of white wine the region has ever seen. 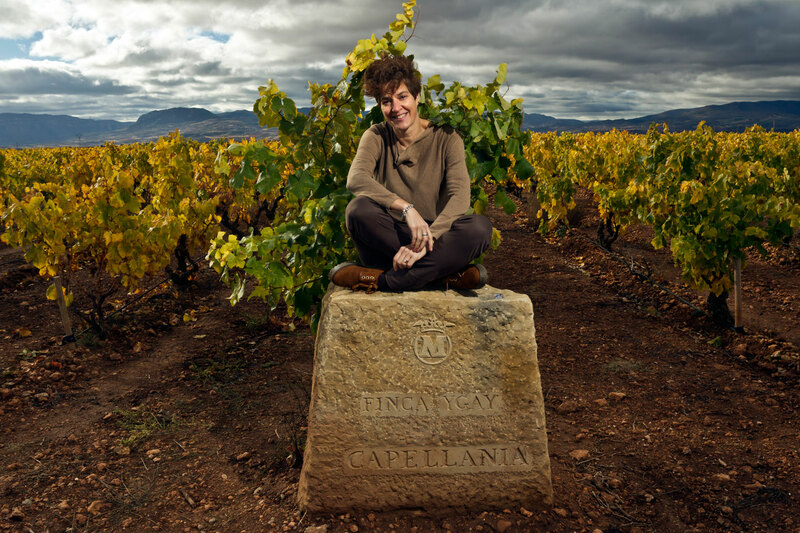 Maria knew she was breaking new ground as a result of her gender and her position in Spain’s most ancient and proudest wine region. However, she also blazed new trails for winemakers - both male and female - to follow, thanks to her remarkable winemaking techniques and methods. Her signature white (made from local indigenous Viura grapes) is barrel fermented, and spends a whopping 252 months in oak before being further aged for five and a half years in concrete. The results are, frankly, sublime. She claims that female winemakers have the patience and determination to focus on long-term results, and that a signature bottle like hers is the ultimate expression of this. It’s hard to disagree! No list of influential women in the world of fine winemaking would be complete without a mention of this giantess of oenology. Lalou Bize-Leroy (the ‘grand dame of Burgundy’) is coming to the end of her 85th year, and yet she’s still a tour de force in the French wine region which is considered second in the world only to neighbouring Bordeaux. 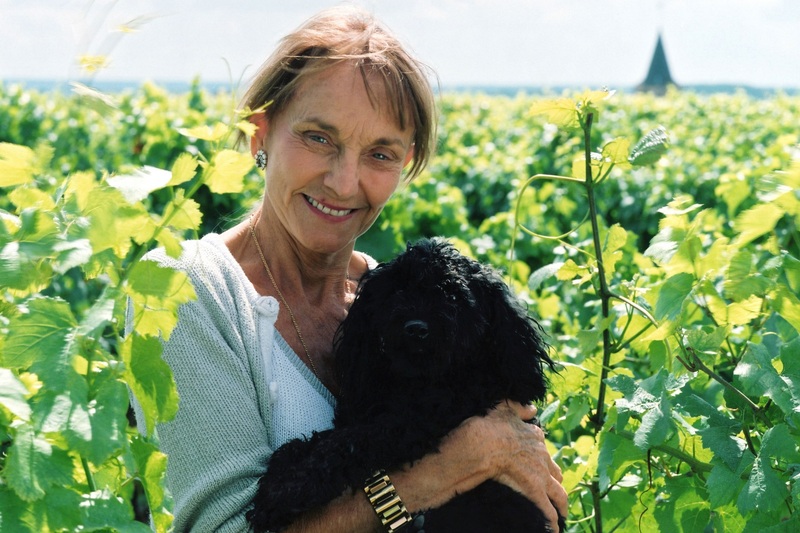 She’s been steering Domaine Leroy to ever greater success for the past 30 years, and prior to that was the genius behind Domaine de la Romanee-Conti. In that role, she produced the iconic and legendary DRC wine… which was, for a while, in the top 5 most sought-after and expensive bottles on earth. Domaine Leroy, which she took over in 1988, became one of the first biodynamically farmed estates in France, and her signature style ‘Richebourg’ sells for over $2,500AUS per bottle. 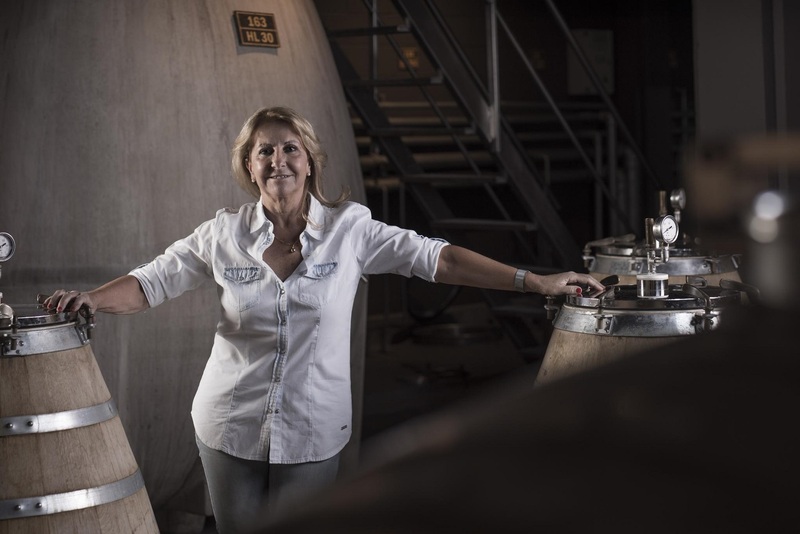 Ever-innovating, and still very much getting her hands dirty, Bize-Leroy remains one of the world’s leading winemakers, and a woman of incredible character and personality. Long live the queen! One of the cool things about countries like Argentina is that - despite having a wine culture which actually stretches back about four centuries - it’s a country in which the rules of wine which dominate many old world nations never really took hold. As such, it’s not so surprising to discover that (just like here in Australia) there’s a strong presence of female winemakers in world-beating regions like Mendoza, as well as plenty of innovative wineries ripping up the rulebook to make awesome wine. Susana Balbo is probably Mendoza’s most famous female winemaker, and her eponymous wines are proving to be enormously popular all over the world - especially as there is a real hunger on the global wine scene for the powerful, fruit-forward Malbec wines she does so well. Her range is impressive, and shows off the variety which is at the heart of Argentina’s constantly developing wine scene. Susana Balbo wines include fruity young Malbecs, more complex and age-worthy Torrontes wines, Petit Verdot, Cabernet Franc, and many more besides. Not only is Susana a vintner, however, she’s also dabbled in politics, and has held the position of President of the Wines of Argentina for three terms. It seems the old adage about multitasking rings true, after all. Innovative, inventive, and impressively ambitious, Sarah Crowe is Australia’s current winemaking queen. She rocketed to fame with her debut release (the 2014 vintage from Yarra Yering) which won her the James Halliday winemaker of the year in 2017, and which made her the first woman to be lauded with that particular esteemed award. Sarah had previously spent 12 years cutting her teeth and honing her craft in the vineyards of the Hunter Valley (principally at the Brackenwood winery), and had also travelled widely picking up tips and techniques from winemakers of both genders all over the world. She claims that her Yarra Yering Dry Red Wine No.1 is her crowning glory - so far - as a huge amount of time went into getting the blend exactly right. This was due in part to her meticulous attention to detail, and also due to the fact she was determined to ensure the blend captured everything she loved about the land she was working with. Her vision, ambition, and dogged approach to sticking at what she does best has led Sarah to the top of the Aussie wine industry, and she’s keen to encourage other young, female winemakers to stick at it in what she still sees as a male-dominated scene.